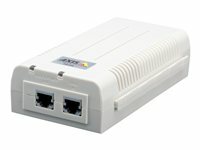 The high-power Gigabit single-port PoE (Power over Ethernet) AXIS T8125 Midspan injects power over data-carrying Ethernet cabling. It maintains the IEEE 802.3at draft 3.2 and IEEE 802.3af standard, while doubling the output power (60 W). 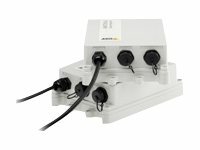 The AXIS T8125 data and power output port is designed to carry Gigabit Ethernet data and power over a standard CAT5e cable or higher, delivered through all 4-pairs.